What Is The Best Glutamine Supplement of 2019? When it comes to sports supplements, Glutamine is gaining popularity as a post-workout supplement among fitness enthusiasts and bodybuilders thanks to its benefits on muscle recovery. To help you choose the best glutamine supplement, we reviewed 5 brands. To do so, we considered their quality, sources, and price. 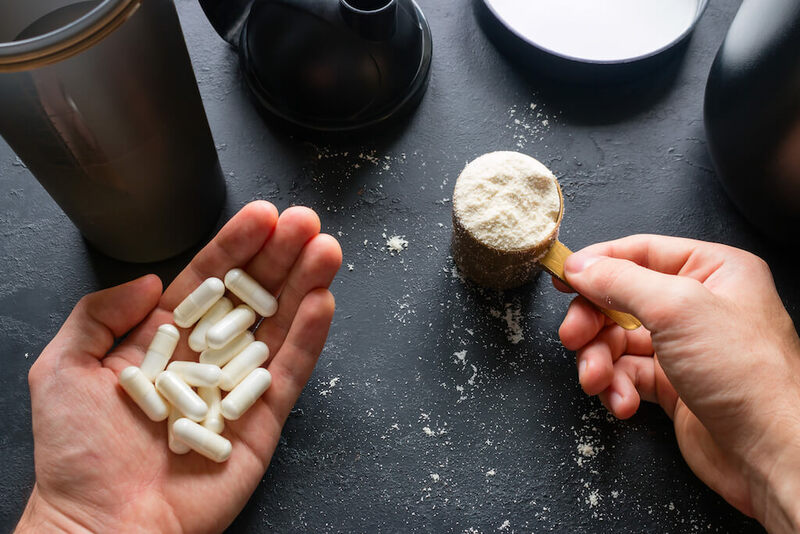 What Are the Best Glutamine Supplements of 2019? We’ve ranked below the 5 Glutamine brands above with more details and listed the pros and cons for each. BOOST RECOVERY - Glutamine is the most abundant amino acid in the body. It is essential for cell volumizing and growth, promoting lean muscle growth while inhibiting protein breakdown. FERMENTED & HPLC Tested- NutraBio L-Glutamine is vegetable based, naturally fermented 100% L-Glutamine manufactured right here in the United States! Every batch is HPLC tested to ensure purity. GROWTH HORMONE - Supplemented glutamine may even increase the secretion of growth hormone. Studies show that supplementing with as little as two grams of free form L-Glutamine may boost your growth hormone levels by as much as 400%. 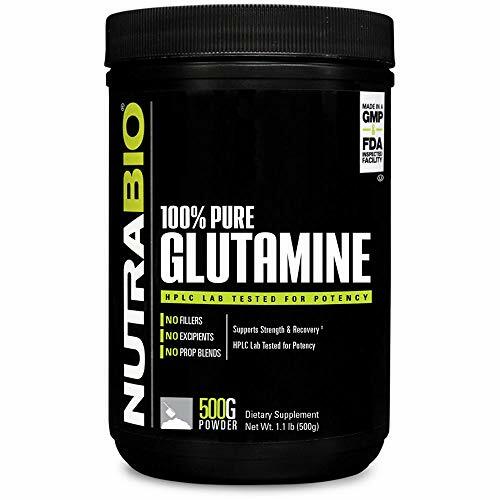 WITHOUT COMPROMISE - NutraBio's L-Glutamine provides 5000 mg of pure raw unflavored glutamine per serving. No fillers or manufacturing excipients here. This product is also certified kosher, is non-GMO, gluten free, hypoallergenic, and suitable for vegetarians. FULL LABEL DISCLOSURE AND TRANSPARENCY - All NutraBio products feature fully transparent labels with no proprietary blends. 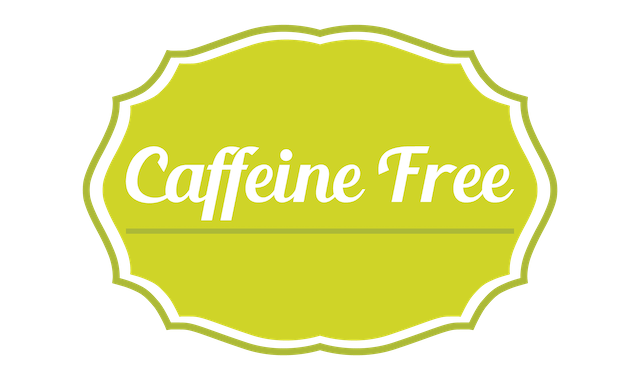 Every batch of every product is tested by independent third party labs to ensure potency. The NaturaBio Glutamine comes in a container of 5OO grams of micronized and unflavoured powder. There are 100 servings of 5 grams of Glutamine per container. The Glutamine is vegetable based and manufactured in the United States which is a guarantee of quality. Additionally, the price per serving is reasonable. COR-Performance Glutamine optimizes muscle recovery and complements a variety of products, including C4 and Alpha Amino, for added workout support. 5g L-Glutamine. 50 servings per container. 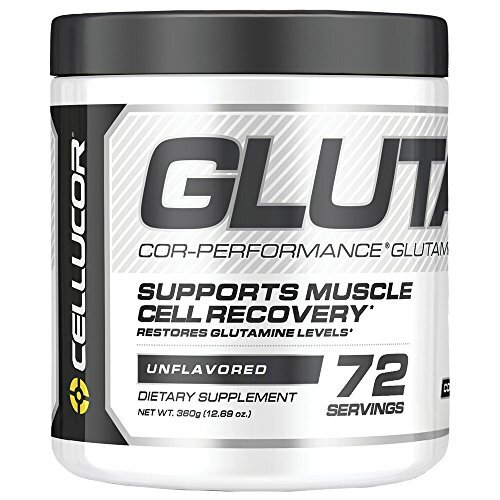 Cellucor offers one of the best-selling Glutamine powder on the market. The container comes with 72 servings of 5 grams at a good price. Although Cellucor Glutamine is available in many flavors, the unflavoured version is the most rated as it easily mixes with your favorite beverage. 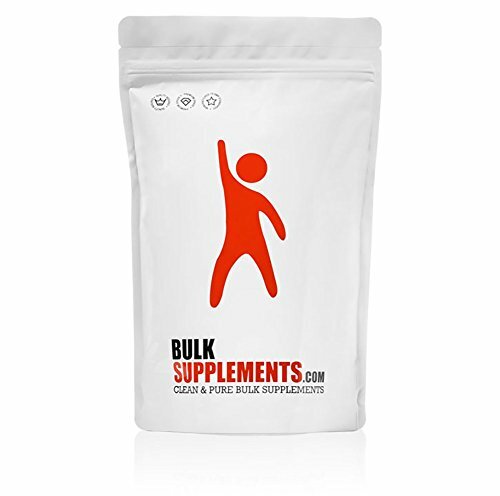 The famous brand BulkSupplements offers this bag of 250 grams or 250 servings of 1,000 milligrams of unflavoured Glutamine powder. EXTRA STRONG 1000mg TABLETS - each pill has at least twice as many amino's as the other leading brands. This means you take half the tablets for the same dose - and get twice the value. 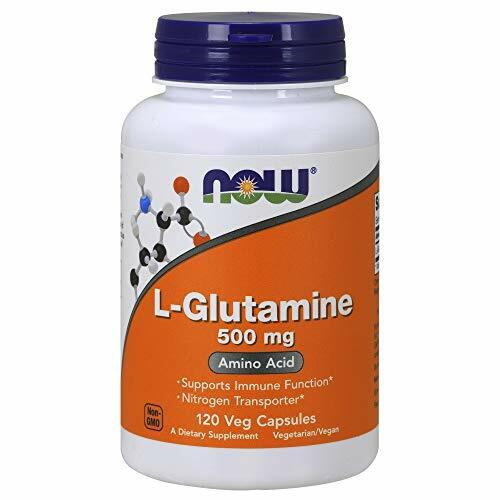 L-GLUTAMINE INCREASES YOUR PROTEIN SYNTHESIS, supports your immune system, boosts lean muscle growth and recovery, aids your digestion (IBS) and prevents leaky gut. The perfect bodybuilding dieting and weight loss supplement for men or women. PURE, clean, quality and laboratory tested amino acid - so you don't clog up your body with any fake fillers. Naturally gluten free, vegetarian and vegan. LIFETIME SATISFACTION GUARANTEE - We like to go the extra mile, which is why that if you don't see RESULTS or are not happy for ANY reason, you can contact us for a FULL REFUND, no questions asked. Making your purchase COMPLETELY RISK FREE. At Raw Barrel we believe customer service is just as important and the purest supplements. 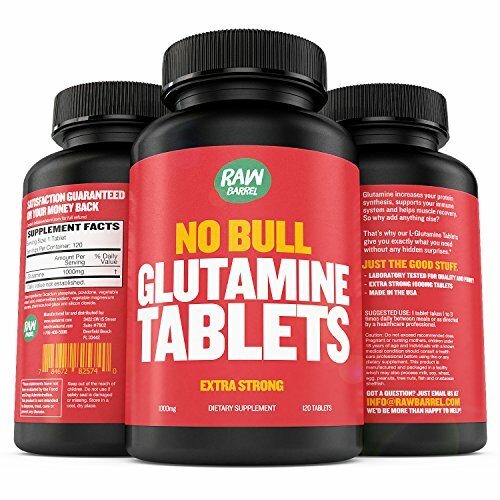 For those who prefer to take supplements pills and tablets over powder, Raw Barrel Glutamine tablets is a good choice. The Raw Barrel’s container contains 120 tablets of 1,000 milligrams of Glutamine. The Glutamine is vegetable based including all its ingredients like magnesium stearate which make it Halal for those of us who are Muslims. To finish this review, we picked L-Glutamine capsules from Now manufacturer. This brand’s container is of 120 capsules with 500 milligrams per serving. The Glutamine is plant-based as well as capsules. The other ingredients like magnesium stearate are also from vegetable sources which make the whole product vegan and Halal friendly. However, the serving (500 milligrams) turns to be low for a sports use. Among the 5 brands, Cellucor is our pick for the best glutamine supplement of 2019. In addition to being one of the cheapest Glutamine in our list, it’s also manufactured in the USA in a GMP facility and it’s vegan and Halal friendly. What about you? Do you use Glutamine to help your muscles recover after workouts? What is your favorite brand? Let me know in the comment section below. And if you find this article helpful or interesting, please consider giving it a like or a share. next post: What Is The Best Beta-alanine Supplement of 2019?